The Byrds were folk rock pioneers. With the arrival of their debut album Mr. Tambourine Man in 1965, The Byrds helped to usher in the new, blended genre, one that incorporated brainy folk lyrics with amplified rock and psychedelic undertones. Taking after The Beatles and The Rolling Stones, the shaggy California jammers took a whack at using electric instruments, but couldn’t entirely shed their country roots. Following Bob Dylan’s lead, they experimented with modern folk and his brand of intellectual songwriting. 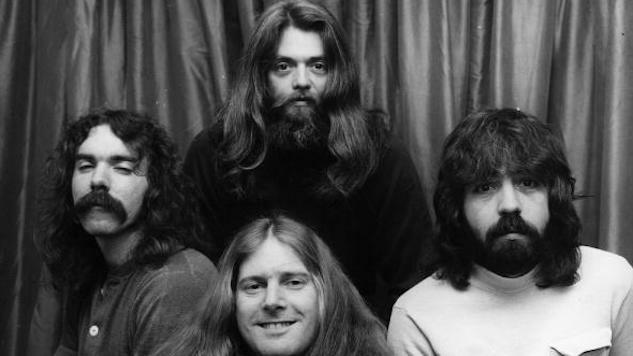 Their original lineup, consisting of Gene Clarke, David Crosby, Jim McGuinn, Michael Clarke and Chris Hillman, fluctuated over the years, with McGuinn (later known as Roger) acting as the sole constant until the band’s last word in 1973. Resting somewhere between country rock and psychedelic folk, The Byrds foreshadowed decades of American music to come. Listen to The Byrds’ full set at the South Shore Music Circus in Massachusetts circa 1971 below.